We are fond of spicy dishes and when it comes to chicken or fish dishes, it has to be spicy for us. 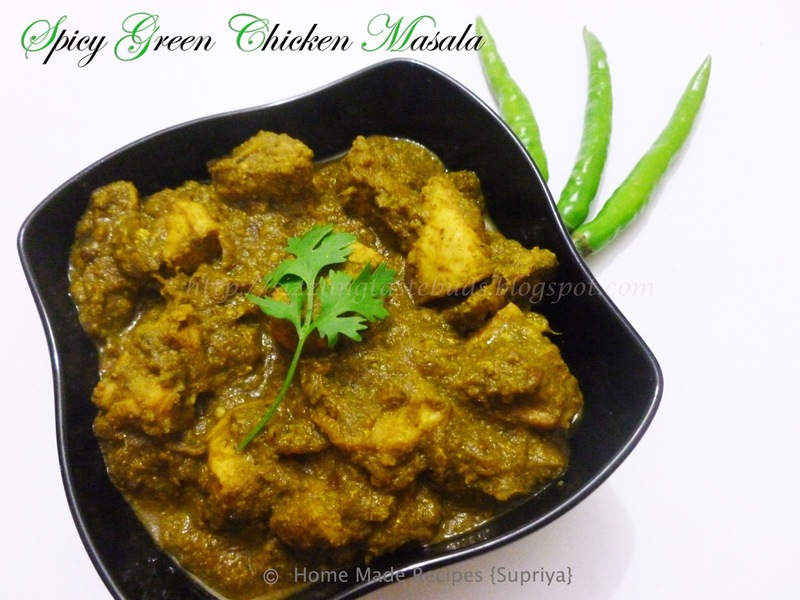 This Spicy Chicken in Green masala is a quick, very simple and delicious dish with the goodness of greens. Tastes best with Chapati's, Dosa's or even with Hot steamed rice. Here's the recipe of Spicy Chicken in Green Masala. 1. Make a fine paste of the above mentioned ingredients except Oil, salt and Chicken pieces. 2. Heat 1 tbsp oil in a wok and add the prepared green masala paste. Saute for a minute. 3. Add Cleaned Boneless chicken pieces. Mix well. Don't add water or add very less amount of water if necessary. Cover the lid and cook it in a low- medium flame for about 5-6 mins. 4. Check in between and add salt to taste. Mix well. 6. Switch off the flame and mix all together. 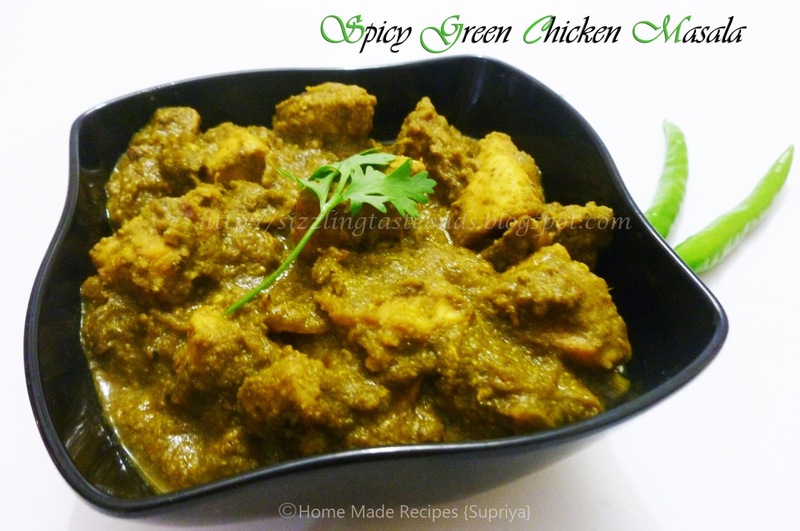 Spicy Chicken in Green Masala is ready to be served. Serve hot with chapati's or hot rice. Absolutely flavored with spices and this is so good. Will love to your recipe soon.